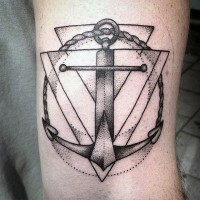 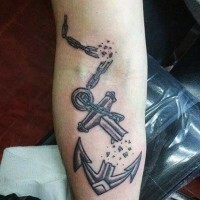 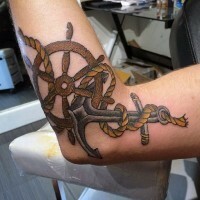 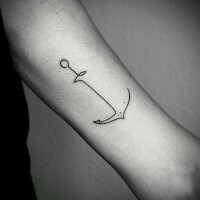 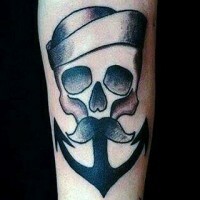 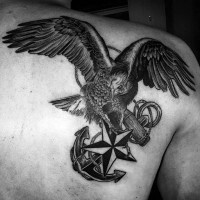 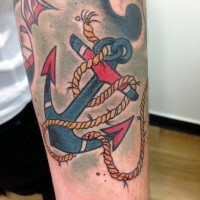 Anchor tattoos can be applied by the people who are specializing in the professions relevant to the sea and sailing, but they can be also chosen by those, who have no connection with sailings or water at all. 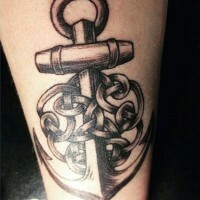 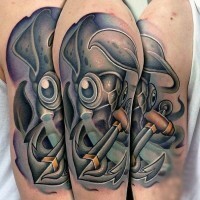 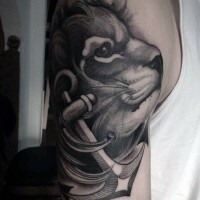 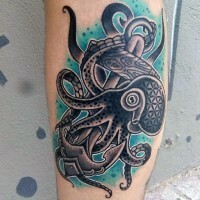 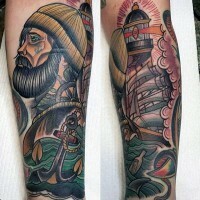 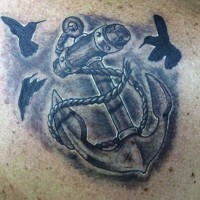 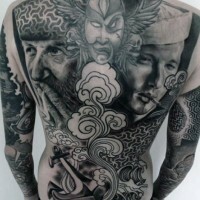 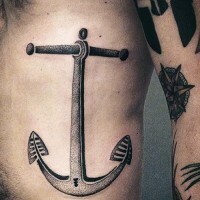 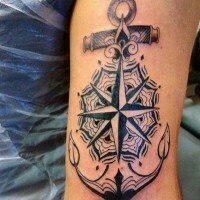 This all makes anchor tattoos universal and great for application. 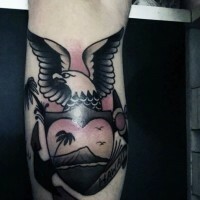 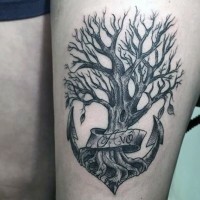 Some people choose to apply anchor tattoo design because of they think it looks funny, and some do know about the initial meaning of anchor tattoo designs, such as hope, strength, caution, safety, dedication and salvation. 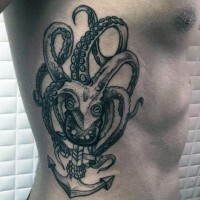 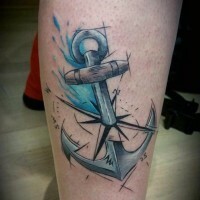 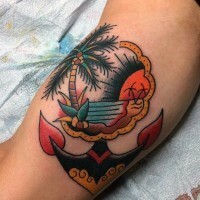 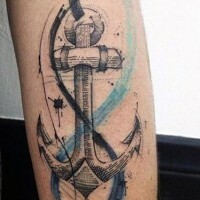 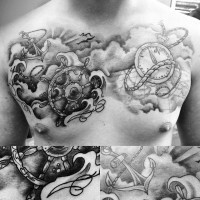 Anchor tattoo designs, as we can see from this example, can have various meanings and can be applied in accordance with the different reasons.